Jodie Whittaker is currently waiting in the wings to step into the Time Lord’s well-worn shoes and I’m sure the majority of Doctor Who fans are desperate to know the circumstances of her arrival. However, Christmas Day isn’t here quite yet and we’ve got more six more regenerations to get through before it’s time for the 13th Doctor to take centre stage. In Part 1, we relegated Colin Baker’s troubled exit to last place and David Tennant’s explosive exit just missed out on a top spot, but now it’s time to countdown the final six! After his first of many battles with the Cybermen, the aged First Doctor (William Hartnell) collapses and regenerates for the very first time, becoming his second incarnation (Patrick Troughton). The one that started it all! The decreasing health of William Hartnell led the BBC to dream up the very concept of ‘regeneration’ – an idea which has allowed the show to continue for over 50 years. The Tenth Planet’s final episode is actually lost (if anyone’s got a tape anywhere the BBC would pay a pretty penny! ), but grainy footage of Hartnell changing into Troughton has been pulled from the BBC Archives so we can see this iconic Who moment. And for 1966, it’s far from a bad effect, proof that traditional often trumps inventive when compared to the bizarre regenerations to follow. Expect this year’s Christmas Special, ‘Twice Upon A Time’, to fill in how the First Doctor came to change, with David Bradley assuming the role opposite Peter Capaldi. The Doctor’s secret incarnation, the ‘War’ Doctor (John Hurt), begins regenerating after putting an end to the Time War. John Hurt’s retconned incarnation of the Doctor may have only featured in one episode (50th anniversary special ‘Day of the Doctor’), but he certainly made his mark as a bloodstained survivor of the Time War. Entering his TARDIS, he muses that he’s “wearing a bit thin” – a callback to the First Doctor’s ‘old age’ regeneration – and then makes a humorous request for “less conspicuous ears”. No such luck, Doctor. Saying that, Christopher Eccleston’s large flappers don’t actually feature in the scene as he refused to come back to film his bit of the regeneration. Killjoy. Caught in the crossfire between two New York gangs, the Seventh Doctor (Sylvester McCoy) is mortally wounded and ready to regenerate. However, the attempts made to revive him mean the Eighth Doctor (Paul McGann) emerges dazed and confused. Just like John Hurt’s War Doctor, Paul McGann’s incarnation of the Gallifreyan only appeared in one full episode of Doctor Who (ignoring his brief comeback in 2013). However, the Eighth Doctor certainly has the show’s most unique regeneration scene. After stepping out of the TARDIS in New York, the Seventh Doctor is caught in the crossfire between two rival gangs. While the Time Lord begins to regenerate, a paramedic’s confused attempts to revive him stalls the process and he is declared dead. This means that when the Doctor is finally able to complete his regeneration he’s already been locked away in a morgue. Cue strange Frankenstein symbolism complete with maniacal laughing and well-timed lightning strikes. It also features one of the stranger regeneration effects, McCoy’s face slowly stretching and morphing into McGann’s. Doctor Who: The Movie might only have acted as a stopgap before Who‘s revival in 2005, but this regeneration stands as one of the most creative. Having been granted with another cycle of thirteen regenerations on Trenzalore, the Eleventh Doctor (Matt Smith) experiences his most volatile change of face yet. “We all change. When you think about it, we’re all different people all through our lives…” Matt Smith’s incredible performance in his Doctor’s final moments will bring even his harshest critics close to tears. This emotive speech nails Eleven’s wise and philosophical edge, a far cry from the overblown emotion of Tenth or the built up anger of Twelve. Simply put, both Moffat and Smith understand the character they’ve created, and nail his swansong. The violent but sudden change into Capaldi foreshadows that one of the Doctor’s most complex incarnations has just been born. Forced to accept his obligation to fight in the Time War after crash landing on Karn, the beleaguered Eighth Doctor (Paul McGann) purposefully triggers his next regeneration to adopt a more warlike and callous persona (John Hurt). Steven Moffat certainly shocked fans with the release of ‘The Night of the Doctor’. When Christopher Eccleston sauntered onto our screens in 2005, it meant that Paul McGann was robbed of a regeneration. The BBC recognised that acknowledging his tenure as the Time Lord would have over-complicated the reboot and turned viewers off. However, the show’s 50th anniversary presented an interesting chance to plug the gap and Moffat seems to have leapt upon the opportunity. Paul McGann returns as a tattered version of his previously upbeat incarnation to masterfully pass on the baton to John Hurt’s War Doctor. Crippled by the Time War, the Eighth Doctor is tired, remorseful and full of self-loathing. It’s certainly the Time Lord’s most melancholic regeneration. There’s only one problem. It left fans desperate for more! After absorbing the energy of the Time Vortex to save Rose (Billie Piper), the Ninth Doctor (Christopher Eccleston) gets some emotional closure before his explosion regeneration into his tenth incarnation (David Tennant). When William Hartnell left Doctor Who in 1966, the BBC had the difficult job of introducing the idea of regeneration. Russell T. Davies had the exact same challenge in 2005, a whole new generation of fans totally unaware of the concept. 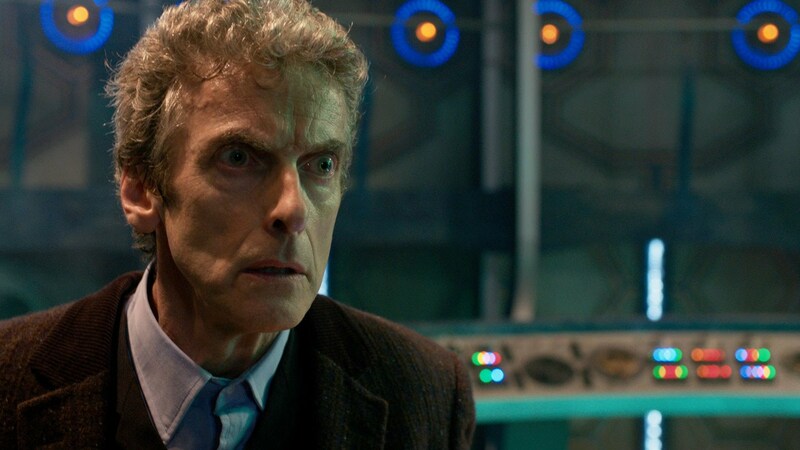 If RTD had stumbled at this critical hurdle, Doctor Who‘s revival might have stalled. Luckily for young Whovians like ourselves, ‘The Parting of the Ways’ handled its regeneration masterfully. With companion Rose just as clueless as the show’s new fans, the Ninth Doctor perfectly sums up the process with some cracking lines. It also established a universally accepted look for regeneration for the revived era. Classic Who never cemented a standard effect for the change, often resulting in strange inconsistencies and naff effects. Both Eccleston and Tennant have some great quotes too, the Ninth Doctor’s final line is a particular tear-jerker. Absolutely Fantastic! Culture Editor, Pokémon Master, Time Lord and occasional History student. Just don't ask me anything about music.